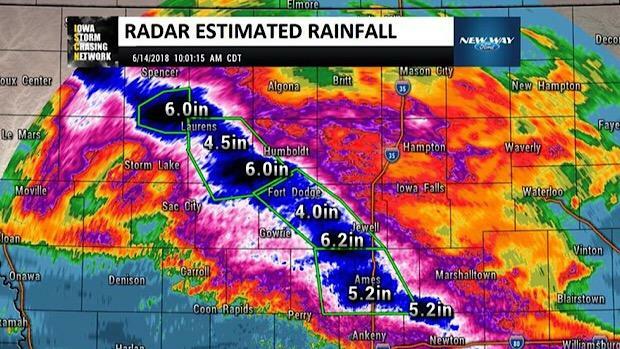 With rainfall totals over 10 inches in some areas for the month of August, plus many inches of rain and flooding throughout the summer months, not to mention September already trying to give August a run for its money with rainfall nearly every day of the month so far, Iowa has become a swampy mess. Countless meets have been cancelled leaving some teams without a race under their belts yet, including Iowa City High School. Their newest assistant coach on the girls' side, Madison Waymire had this to say about the situation. "It's disappointing because the girls have worked so h ard all summer, and they get so excited for each meet to just be let down every time." She went on to say that "it is hard as a coach because it's difficult to gauge where they're at in their physical fitness. It will make it harder to prepare for meets later on because they have no starting point to build their confidence on. It's just a really unpleasant situation all around." Some meets have been cancelled more than 24 hours before, leaving race time perfect for being on the course when the weather takes an unexpected turn. This has made some coaches a bit frustrated and looking for alternatives. In the case of the Pleasant Valley meet scheduled for 9/1, the course that was marked was practically unrunable with areas of mud ankle deep. Some coaches requested marking a new course avoiding those areas, or making it a road race so the athletes could make their travel worth while and get a race in. In the end, with the mix of rainfall and lightning the coordinators ended up deciding to cancel... just one circumstance of many so far this season in which coaches and athletes have been left in frustration. Whats the solution, one may ask? There really isn't a clear answer. One option, as mentioned by coaches, would be to have a secondary course prepared as a backup should the original course be unrunable. Even if it's a paved option, it would at least give athletes the opportunity to compete and get a race out of the way. Other than that, I suppose it's a waiting game to see when the endless rains, flooding, and thunderstorms will finally subside.